A blended family is a family where at least one parent has children that are not genetically related to their spouse or partner. Also known as a step-family, either or both parents may have children from previous relationships. Blended families make up over half of America. They can be fun, frustrating and challenging. They mean change, conflict, compromise and challenge. But they also create an environment of love, fun and excitement. Blended families now make up more than half the families in America. Only a rare extended family does not have some blended family members. 16% of children live in a blended family. That number hasn’t changed significantly in the past 30 years. Children of all cultural backgrounds (Hispanic, black and white) are equally likely to live in a blended family. Children from Asian families are half as likely as Hispanic, black or white children to live in a blended family. Six out of ten women’s remarriages create blended families. A blended family is fun. A blended family is often large. A blended family is extended love. Blended families create a strong sense of parental guidance. If a child has lost a parent, either due to divorce or death, they can still have a complete family with two loving parents. If they still have access to their non-custodial parent, they have an even larger support system. Not that single parents should remarry for money, but blended families can provide a more stable financial base for the children. The combined resources can create a sense of financial security for the family as well as more opportunities and decreased stress when it comes to money. A blended family is frustrating. A blended family is challenging. A blended family is often conflicted. Issues may arise in the area of discipline, where the parents’ disciplining styles may differ and create conflict as they try to address the behaviours of each others’ children. 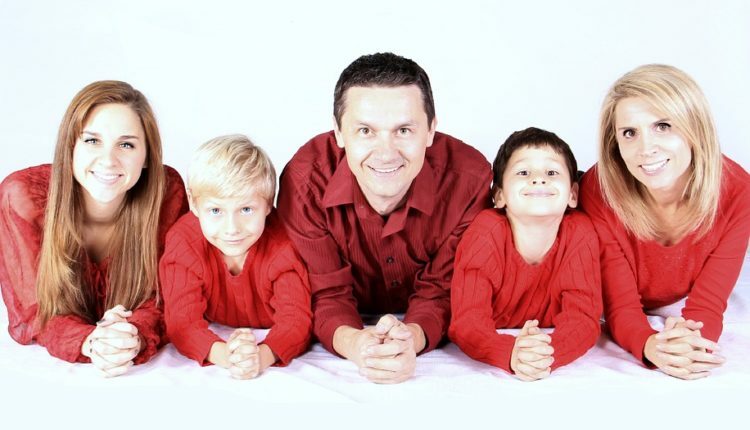 Agreeing on rules and consequences before establishing a blended family home is important in providing the children with routine and consistency. Every blended family challenged must be addressed with honest and open communication. No matter the differing parenting styles coming into the mix, the parents must be a united front in raising the children. It takes a lot of patience to work through difficult situations and it takes time to build a new, happy family. All families are built on love. It’s true for “blood relatives” as well as blended families. Love is more important than the same last name. A blended family might mean some changes, some conflicts, some challenges and some compromises, but it also means more people to love and more people to love you.